The past couple weeks, we have discussed you-first leadership and the characteristics that make up that kind of leader. Becoming a “you-first” leader may sound a bit like career suicide. Isn’t this just another way to get trampled while climbing the corporate ladder? I would say that depends on your view of the pie. 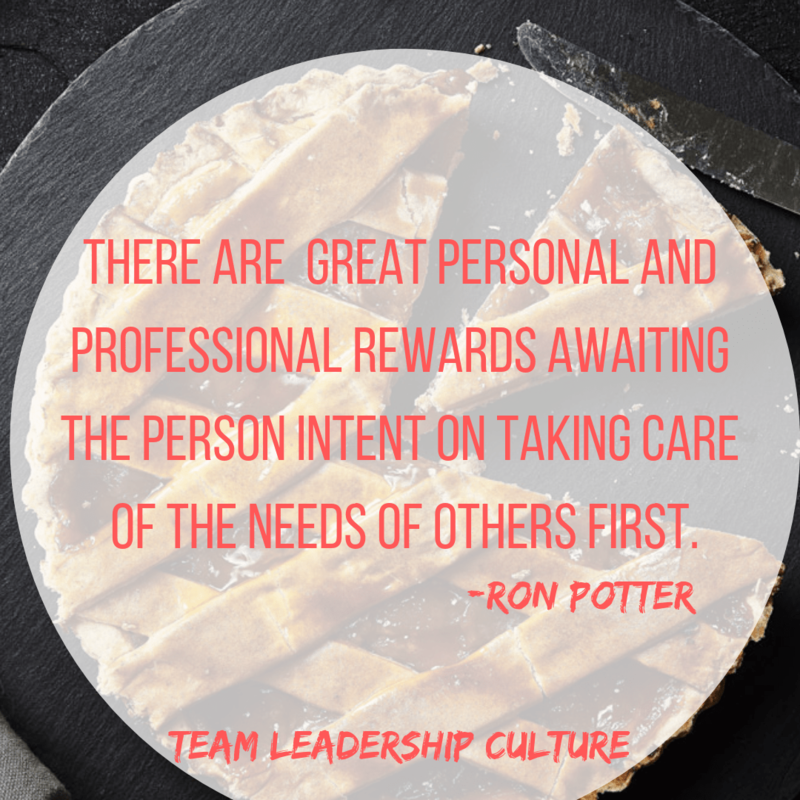 There are actually great personal and professional rewards awaiting the person intent on taking care of the needs of others first. In the long run compassion, like humility, will be an asset that will propel you into being an admired leader, one whom others will follow. It will also provide you with a great deal of personal satisfaction and delight. Having a “you-first” attitude will result in a new and better personal leadership paradigm. Instead of viewing employees and others as those in need of control and reshaping, you will move toward becoming a coach who provides people with honest feedback. You will create a safe environment in which people are free to share honestly about your programs, ideas, vision, and initiatives. Another way to look at yourself and develop good habits is to examine whether you act as an old-style boss, or whether your actions (not intentions, but real actions) are directed toward empowering others. A you-first leadership style goes beyond humility. Humility says, “I’m no better than you; we are equally important.” A “you-first” attitude puts the other person out front. How much are your decisions driven by your own selfishness? What are you trying to protect by not seeking a “you-first” style when you work with others? Have you ever experienced personal satisfaction by putting another person first, placing their needs ahead of your own? Explain.